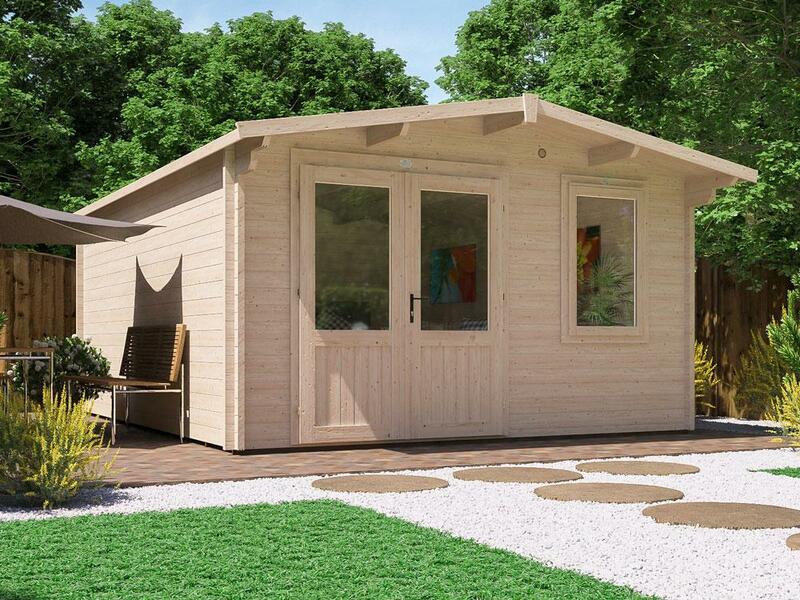 Add a touch of elegance to your garden with one of our stylish and affordable summerhouses. 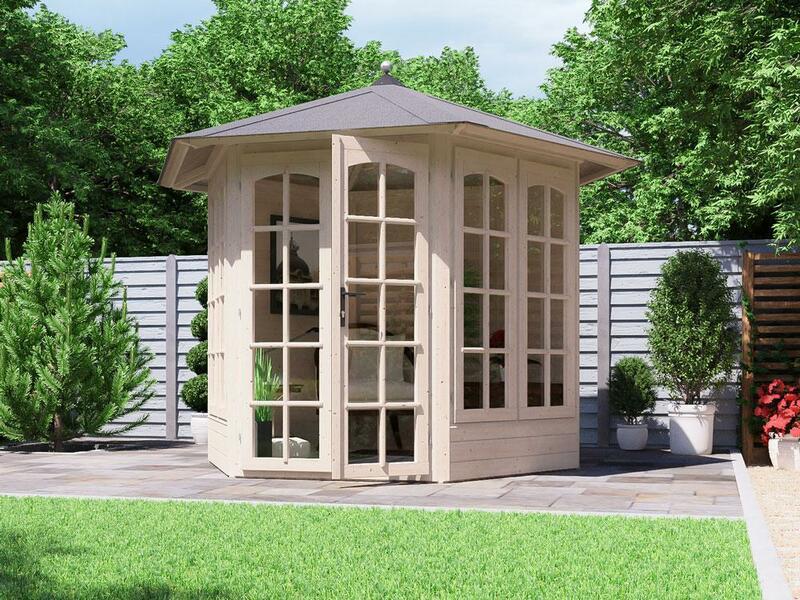 Our summerhouses promise a simple solution for garden owners to sit and enjoy the paradise they've created, whatever the weather. 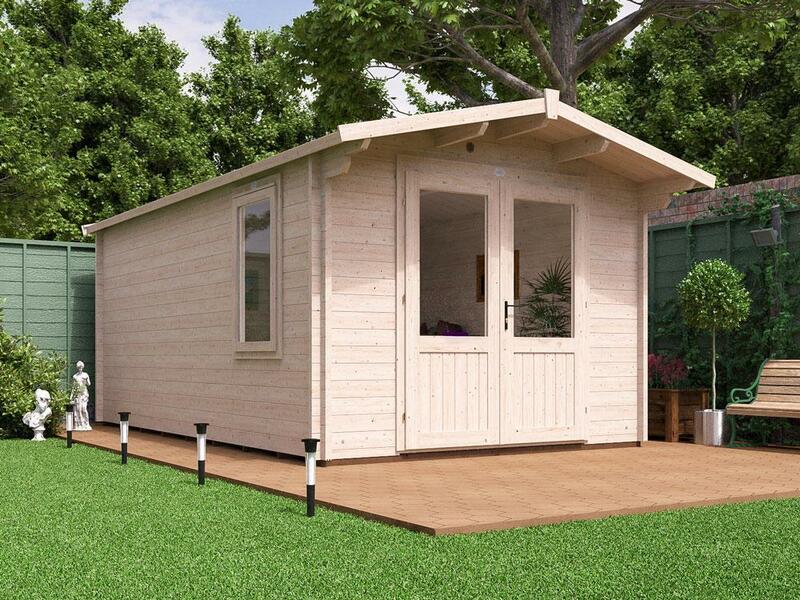 Our summerhouses come with a water-resistant MFP board floor on pressure treated floor bearers. We pressure treat our bearers to reduce the chances of rot and insect infestation, as these are constantly in touch with the ground. 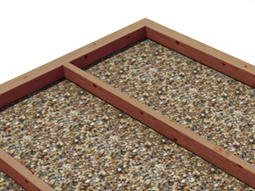 The pressure treatment allows us to provide a lengthy 10-year guarantee on the floor bearers. 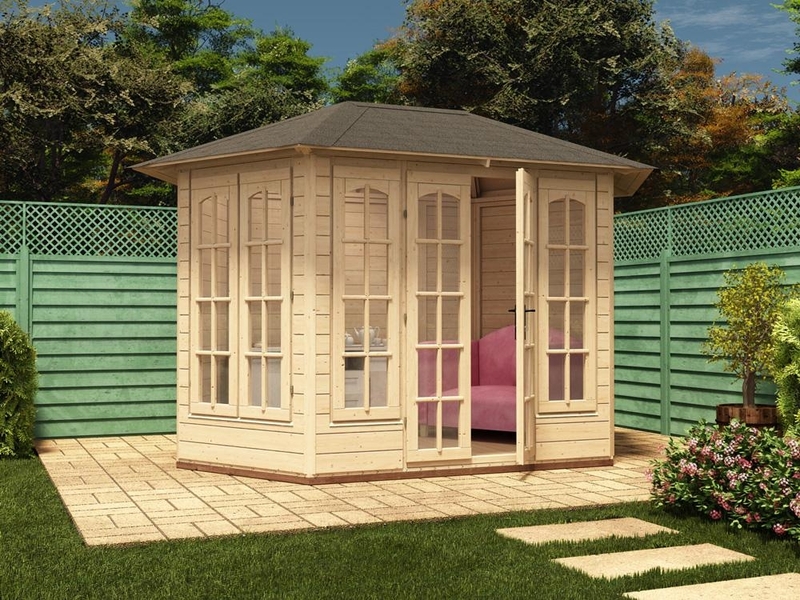 The rest of the summerhouse does not come pressure treated, this is so you can personalise your summerhouse using our wide selection of treatment. 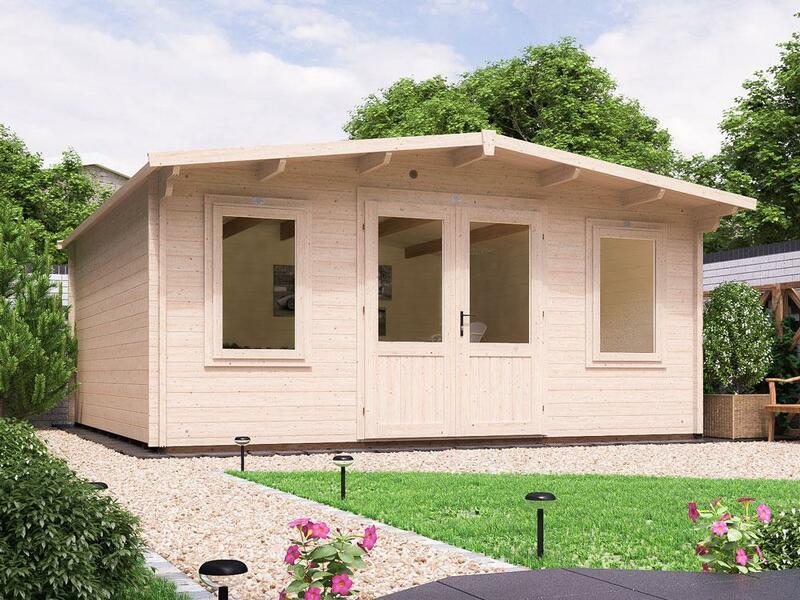 We have made construction slightly easier for you with our summerhouses. The 16mm shiplap walls come in panels, so each piece of timber is cut to size. 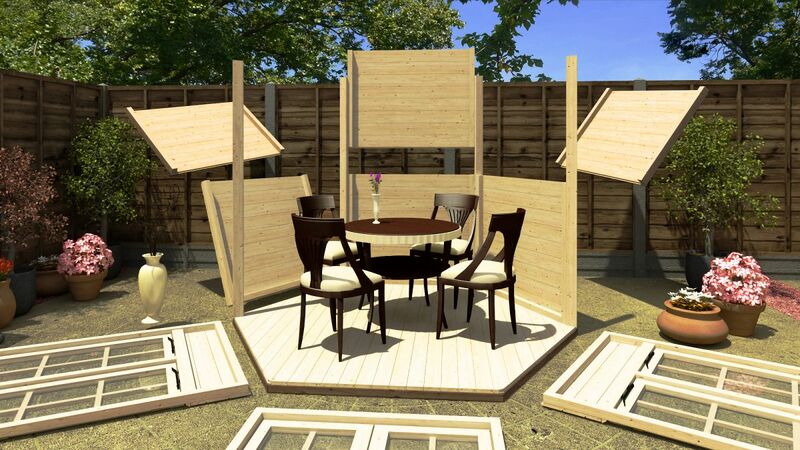 These panels are easy to slot in-between the solid 60mm timber frames, making the construction of your summerhouse quick and simple, almost like a giant jigsaw puzzle. 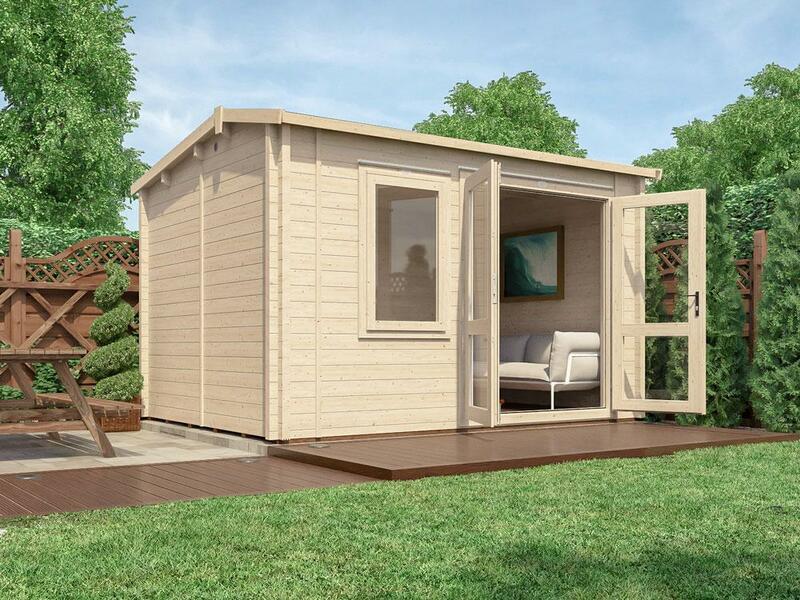 The panel construction allows for a customisable summerhouse. 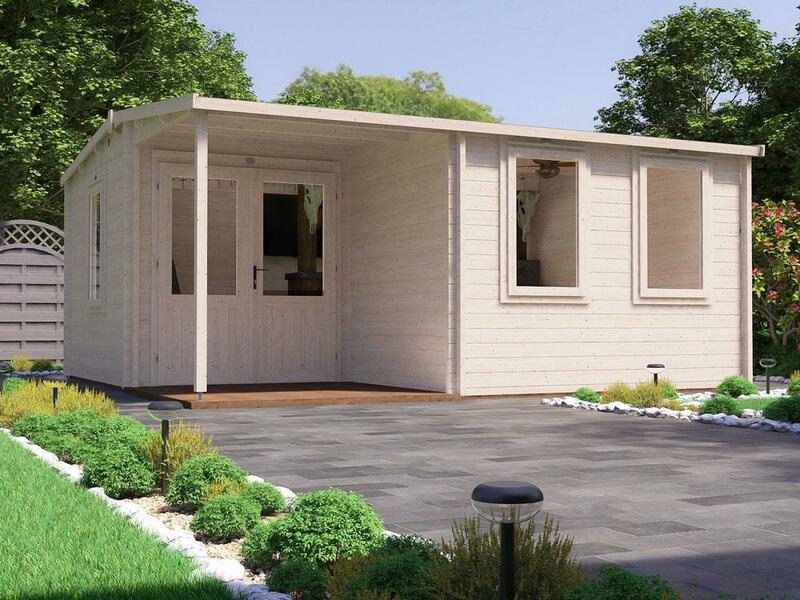 Depending on the layout of your garden, you can choose which side the French windows and doors go on. Choosing the perfect view will be all down to you, we've ensured that whatever view you choose will always be a clear one, by using 4mm panes of toughened glass in our windows and doors. 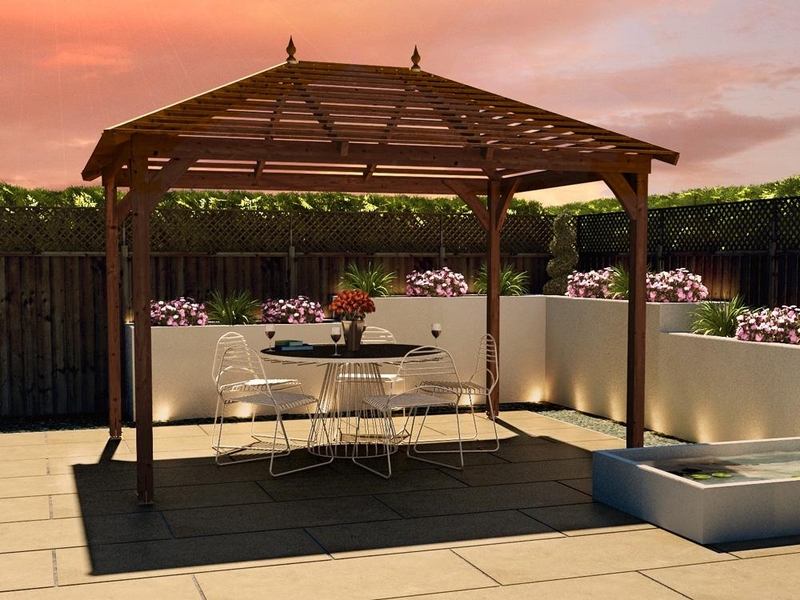 The 4mm toughened glass is less likely to break compared to 3mm horticultural glass used by competitors. 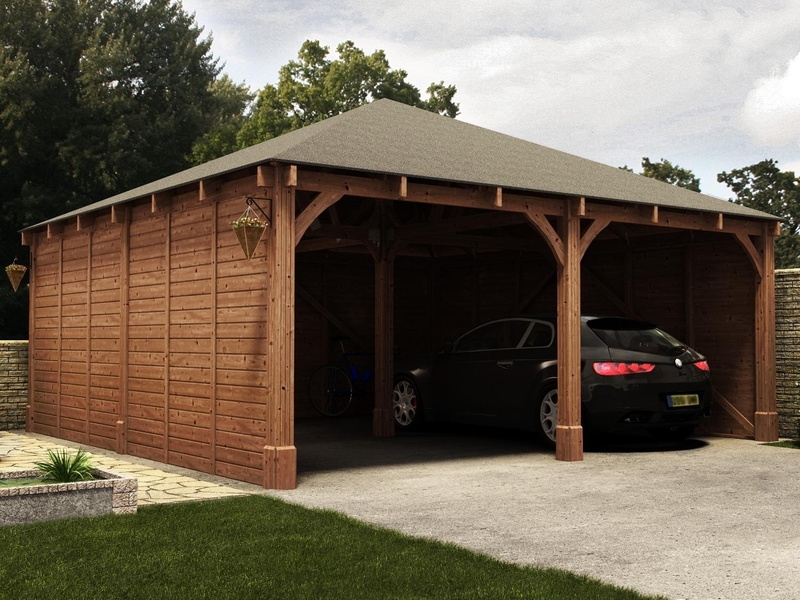 It also doesn't scratch easily or cloud up over time like the Perspex used on some competitors garden buildings. 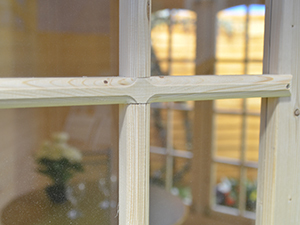 To add to the customisable design of the summerhouses we provide sculpted Georgian bars for the French windows and doors. 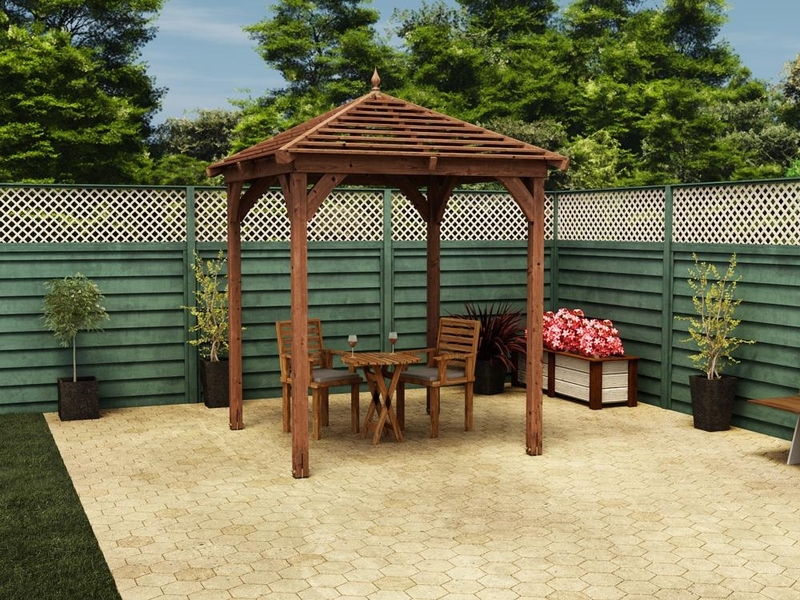 It's up to you whether you use the bars to create a traditional looking summerhouse or leave them off to create a modern, streamlined feature within your garden. 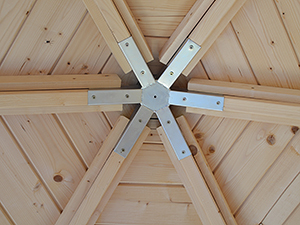 The bars are easy to remove for maintenance, or if you decide to change the look of your summerhouse. 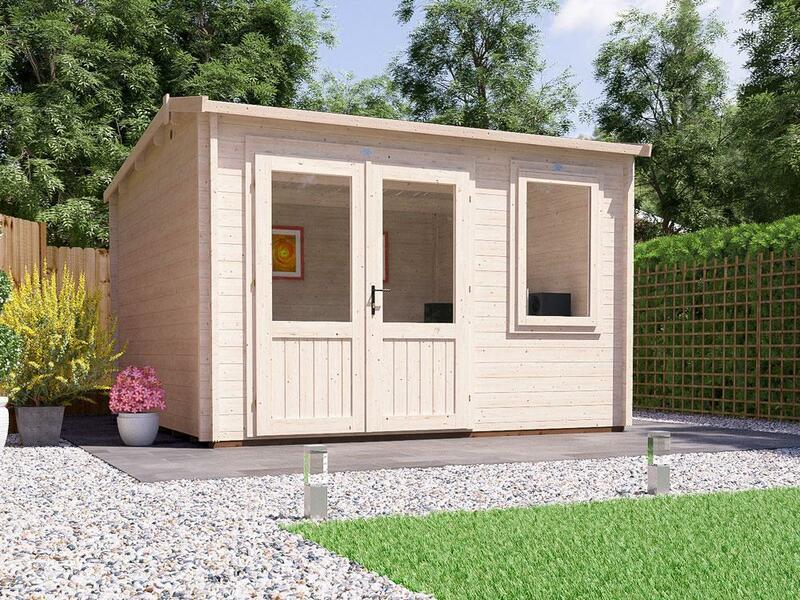 Each of our summerhouses has a height of less than 2.5m high, so it's less likely you'll need planning permission. 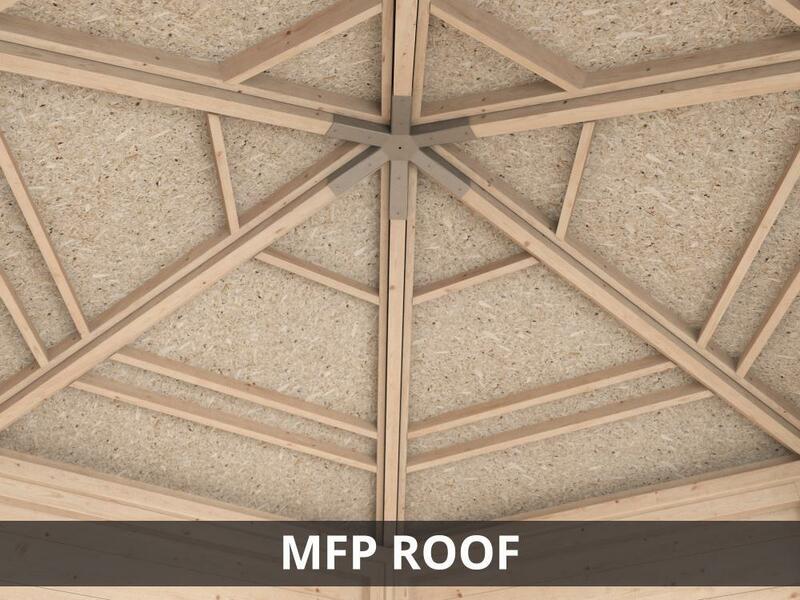 With a roof made using water-resistant MFP boards on a timber frame, a Dunster House summerhouse is robust enough to hold roof felt or roof shingles to finish off the summerhouse and create a weatherproof roof. 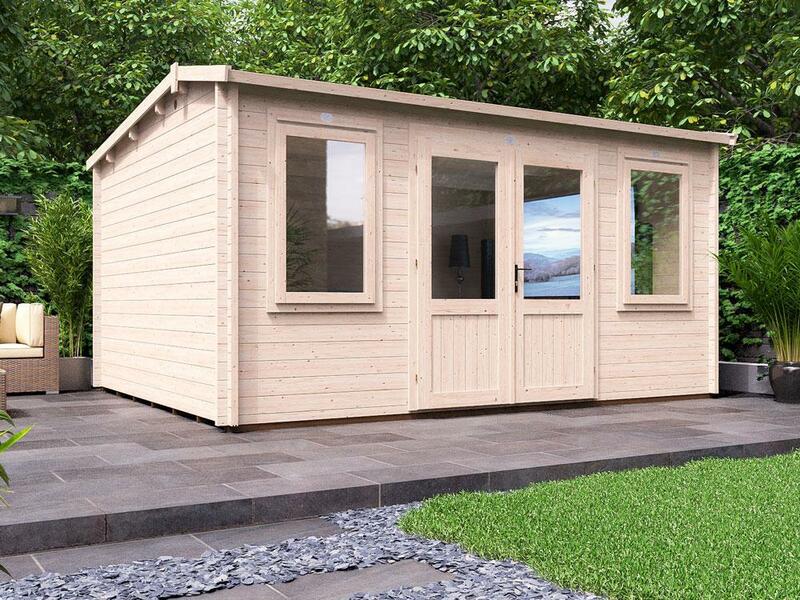 All in all, we've done everything we can to create a heavy duty, easy to build, stylish summerhouse that is perfect for use in any garden.